Stay at a first class hotel by the Strip without breaking the bank. 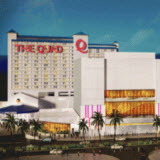 This website is intended to provide you with useful information about the Quad Resort Las Vegas. All advertisements on our site are meant to give the consumer a choice as to where they choose to stay while on vacation in Las Vegas. If you have any questions or concerns, please feel free use our contact page.